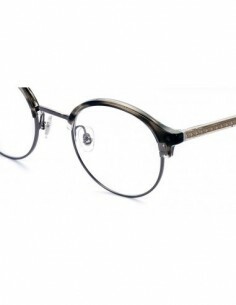 Eyewear with semi-square design with very fine, rounded profiles Extremely light keyhole bridge. Very versatile calibre (51). New acetates and colours combined with herringbones, woods with interior colour, "black-colour effect". Eyewear with classic style that is at the same time modern New model for men, the result of fusing nanoflex with acetate. Very fine and thin profiles. Rectangular shape. Manufactured in two calibres, 53-55, to cover all options. 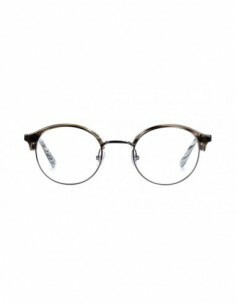 Eyewear vintage and unisex Etnia Barcelona Round shape, extremely fine, keyhole bridge, unisex, totally vintage. Vintage gluing on the temples and interior of the temple "socks. Extensively worked temples, with laser-cut art deco-inspired motifs. 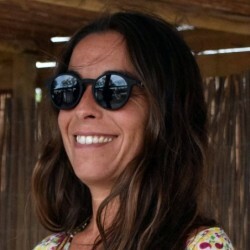 Eyewear woman Etnia Barcelona for women of all ages. Trendy frame, round shape, large, very fine and subtle. The new acetates, new colour combinations, and original gluing on the front and temples make for pretty and discreet contrasts. Eyewear with double color combination Etnia Barcelona Feminine trapezoidal frame, with lamination on the top portion of the frame front and on the temples. 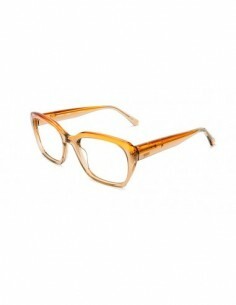 The bevelling on the top portion of the frame front gives the design a touch of sophistication. Eyewear with feminine oval-shaped frame Etnia Barcelona The Etnia Barcelona Vintage collection is characterised by its recovered acetates, shapes and colour combinations that recall our past. Coloured pins and daring textures on the tips make the difference. Eyewear with contrasting lamination on the front Etnia Barcelona Rectangular shape. A frame with lots of personality. Geometric, three-dimensional details. Mixture of sober and bold colours so that all women can find their favourite combination. 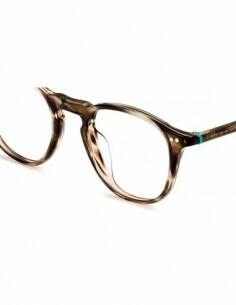 Eyewear modern and original Sabine.be Glasses for men. They are made of paste / acetate and available in 5 color variations. 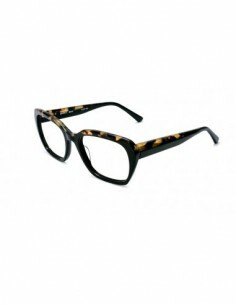 Hipster glasses with butterfly style The very feminine and pin-up style, with ​​acetate frames and double color. 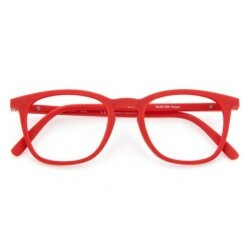 Hippest glasses from Sabine.be. An explosion of color and new forms, that takes care of the maximum detail. They will not leave you indifferent! Eyewear with double color Sabine.be Modern and stylish, the BE SWAG model based on the Way- farer form, characterized by the combination of colors in its acetate frame . 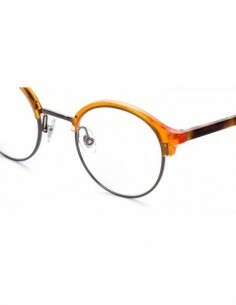 Eyewear for men Sabine.be Glasses oval retro style with double bridge and rimmed metal / acetate. 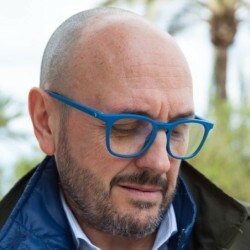 Eyewear for men with rectangular shape Etnia Barcelona Acetate sun model for men, rectangular shape and very fine profiles. Modern and sporty design with contemporary style. New gluing on the temples. Colour range that combines matte and shiny textures. Round glasses for men and women Eyewear glasses with oval shape, retro / vintage design, of excellent quality and with "timeless" inspiration. 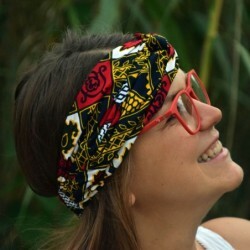 One of the most classic glasses with pure Italian accent in primary colors and handmade. 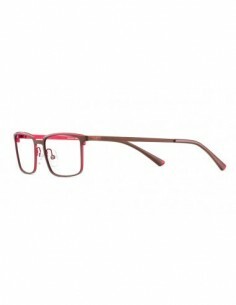 Eyewear for women Glasses unisex made ​​of acetate, fine and modern, with round frame and semi transparent colors . 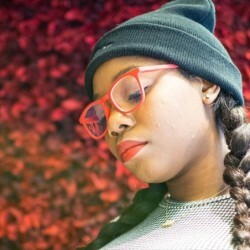 Vintage eyewear Glasses in a huge variety of colors. This model is also available in sunglass with a wide range of lenses to choose. They are for men and women, and they have a simple but very effective design. 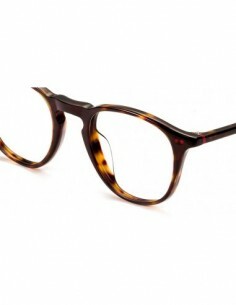 Eyewear with round shape, totally unisex. Eyewear very vintage, but without the keyhole bridge to make it more commercial. Coloured dots on the front, and a coloured line where the front meets the temple. Bonding on the earpiece and inner surface of the temple "socks. Intricately worked temples, with laser-cut art deco-inspired motifs. Glasses frames for women vintage This model belongs to the Vintage collection with frames and materials from the 70s, and with touches of color on the temple tips. Never had fashion and art been so united. You can also create trend! 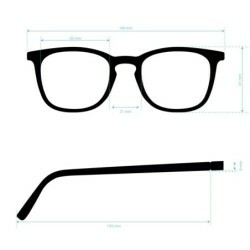 Your graduated glasses, your new image! Prescription glasses is a must for you, but you could make your personal stamp. Didizabàs offers a collection of prescription glasses of the highest quality, with professional guarantee of exclusive brands like Harry Larry's, Etnia Barcelona, ​​Starck, Epos Milano, ... each season create trend and art in the world of the glasses to make you feel comfortable and confident, so that your personal stamp could be a reality in your everyday life. 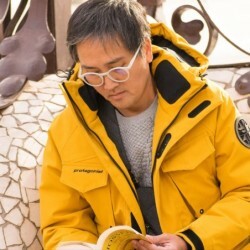 Eyeglasses frames for men and women with novel and original designs, unique color combinations, excellent quality lenses that pamper your eyes, design and quality for you, you're a person with character and style. In Didizabàs you can buy prescription frames online easily. 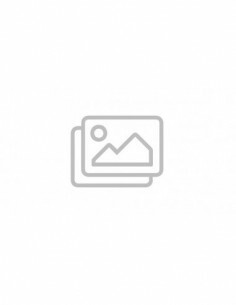 Our online glasses page is made up of optical optometrists who will advise you so that you can have the most appropriate glasses. Choose a mount and use our graduation assistant "Graduate your glasses" to introduce your own graduation and make a personalized budget for your lenses. We are at your entire disposal to help you. For more information you can call to our telephone at 93 666 17 74 or 699 171 133, through our e-mail (info@didizabas.com) or by contacting any of our establishments in Barcelona.